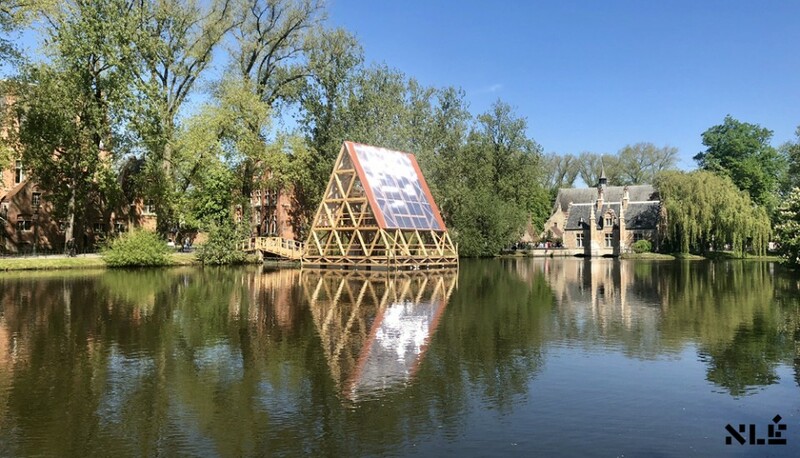 MFS III – ‘Minne Floating School’ is NLÉ’s third prototype and second iteration of the Makoko Floating School in Lagos, Nigeria – an innovative structure developed to address the challenges and opportunities of urbanisation and climate change, particularly in coastal African cities. 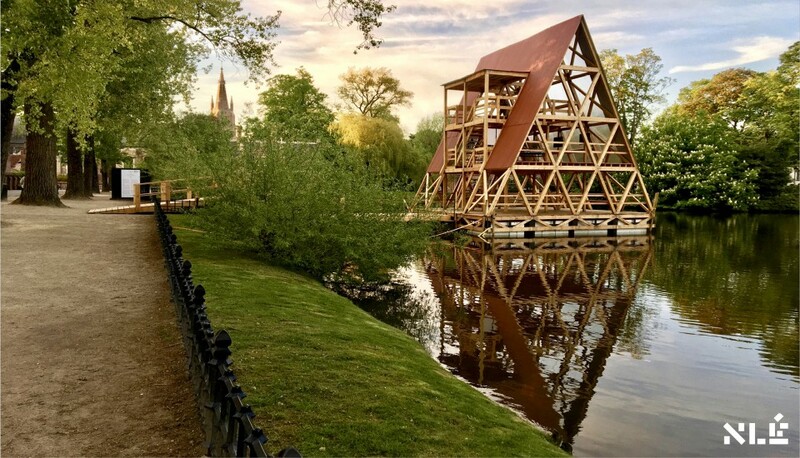 Following Makoko Floating School (MFS I) built in 2013 and MFS II in Venice 2016, MFS III is a new iteration designed as a fully prefabricated, modular, flat pack, floating building system, with a 25 year design life, based on Euro codes for wider regional use. 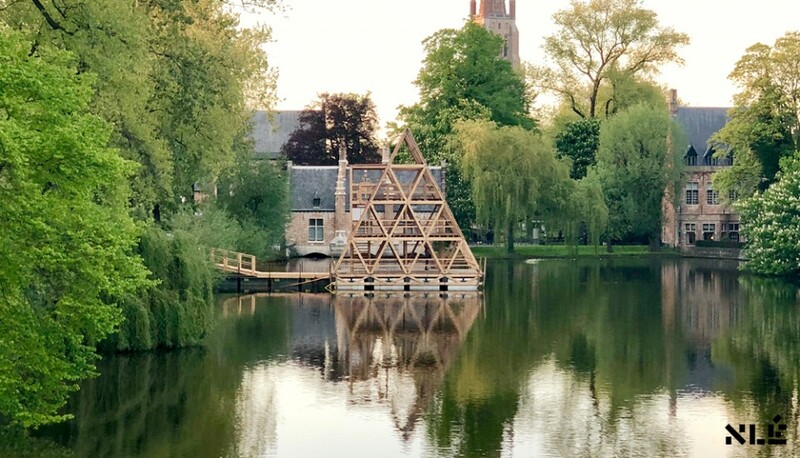 Located in Bruges in Belgium, in one of the city’s finest parks and lake, Minnewater (Lake of Love), MFS III will be launched this May, 2018 for the Bruges Triennale 2018 Liquid City exhibition. 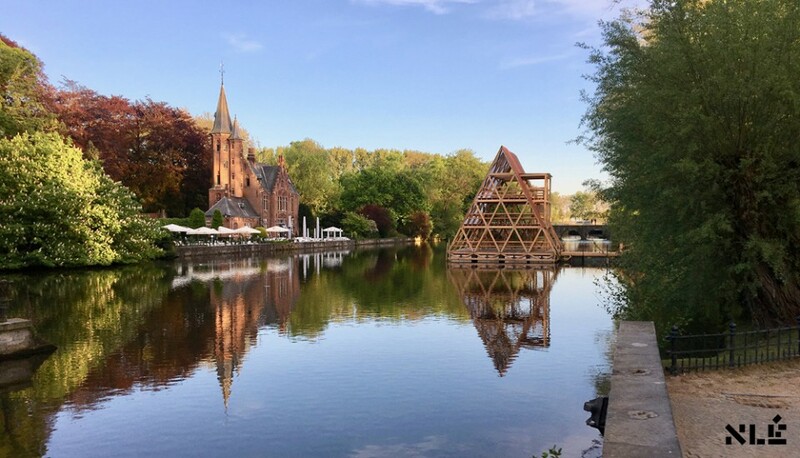 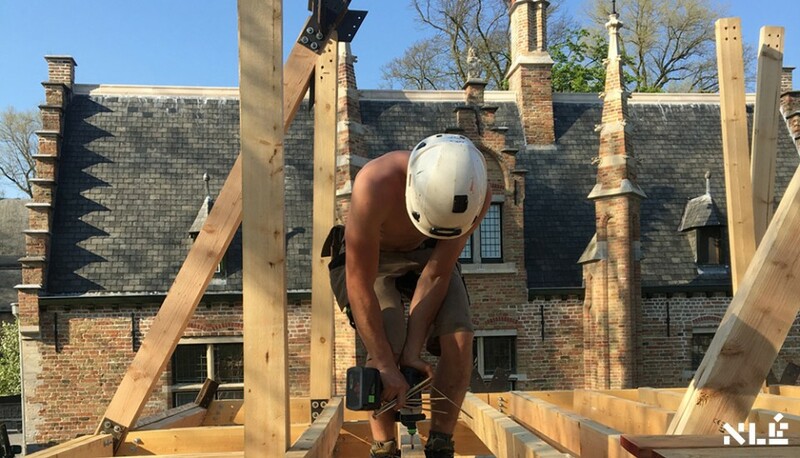 The structure – re-engineered by AECOM, built by Bruges Triennale team and approved by the local engineers – allows further explorations of efficient design, prefabrication and assembly methodologies of MFS as a unique timber floating building solution, adaptable for various uses. 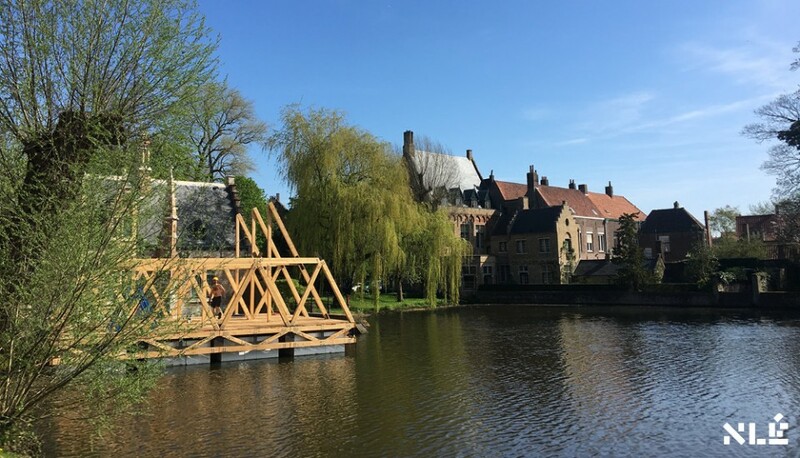 MFS III remains a platform for research, innovation, education and social interventions for water cultures – ‘Learning from Makoko’. 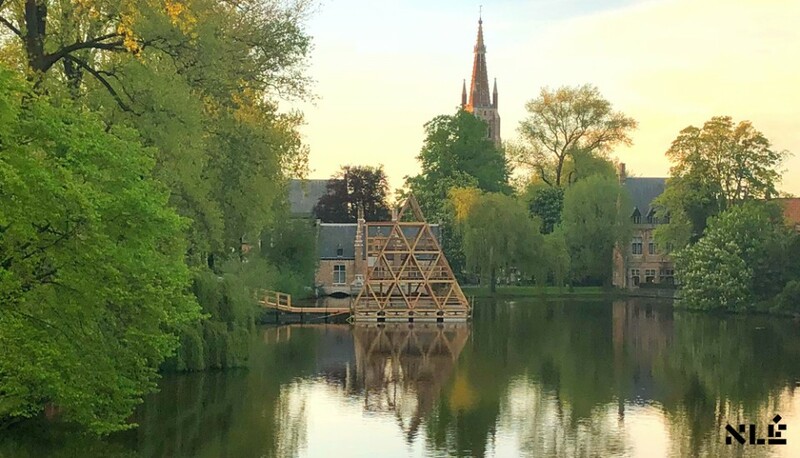 It will be adapted in Bruges for six months in a limited capacity as an exhibition space, a workshop and a school – fully programmed by local architecture and design institutions from around the region.